The shorts worn by Bryce Gibbs in his 100th AFL game for Carlton in round 12 against Brisbane at Etihad Stadium on Sunday June 12. 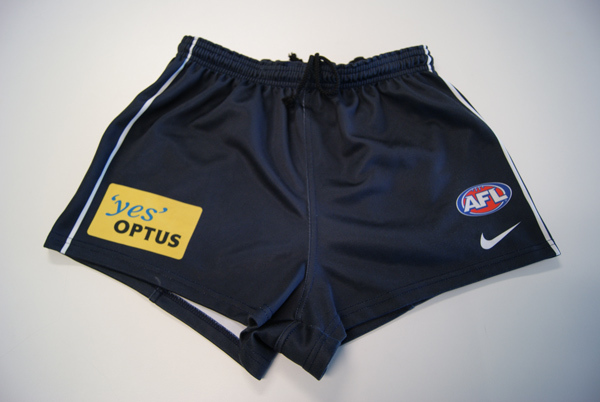 Bryce wore these short for his 100th game and he will sign them on the front above the Optus logo. Purchaser may have the signature on its own or have it personalised to themselves or friend. The sorts come with a certificate of authenticity from the Carlton Football Club. A once-in-a-lifetime opportunity to purchase a very special item of Carlton memorabilia.